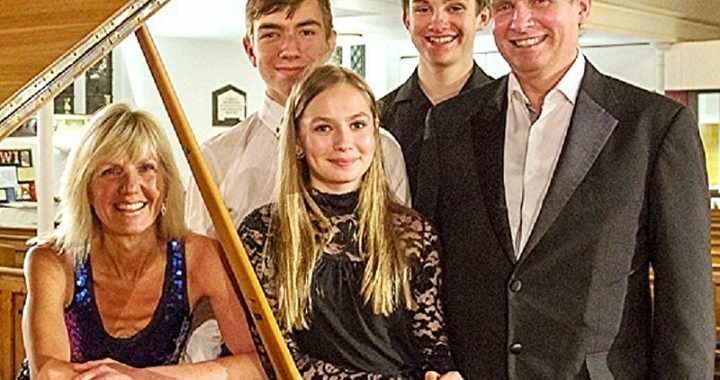 Murray McLachlan, Chair of EPTA (European Piano Teachers’ Association) has been touring Scottish Music Clubs and Societies for over 30 years. He is Head of Keyboard at Chetham’s School of Music and a Senior Tutor at the Royal Northern College of Music in Manchester, England. Murray has made over 40 commercial recordings which have consistently received outstanding reviews, including ‘key recording’ and ‘rosette’ status in the Penguin Guide to CDs. He has performed on all five continents and also serves regularly on juries of international piano competitions. Callum McLachlan was born in 1999 and started piano lessons with his father in 2007. At 11 years of age Callum passed grade 8 and entered Chetham’s School of Music . Callum has given many recital performances at Chetham’s and around the UK. In 2013 he was awarded the ATCL recital diploma with distinction and this was followed by the award of the LTCL (also with distinction) in 2015. In 2014 he won the middle school section of the Chetham’s Yamaha Piano Competition and in 2015 he won the Chetham’s Bach competition. In the same year he reached the finals of the Chetham’s concerto competition performing all of Beethoven’s 3rd Piano Concerto. A prize-winner in the 2012 Mazovia Chopin Festival in Poland, Callum has also won funding to study in Mallorca and in Alberta, Canada. Matthew McLachlan was born in 2000 and started piano lessons with his father in 2008. At 11 years of age he passed grade 8 and entered Wells Cathedral School as a specialist musician, studying with John Byrne. After two years in Somerset he entered Chetham’s in Manchester. Matthew was awarded the ATCL recital diploma with distinction in 2014 and in 2015 he was awarded the LTCL (also with distinction). His performance of Ravel’s G major Piano Concerto was commended in the Chetham’s Concerto competition, and he was a prizewinner at the 2014 Mazovia Chopin Festival in Poland. As a result of his performance in Mazovia, he was selected to perform a 60 minute solo recital at the 2015 World Piano Teachers’ Conference (WPTA) in Novi Sad, Serbia. Rose McLachlan was born in 2002 and started piano lessons with her father in 2009. She entered Chetham’s School of Music and Manchester Cathedral as a chorister in 2011. As a pianist Rose has given many solo recitals, including performances of Beethoven’s second piano concerto and several concerts in Lanzarote for Sir Ernest Hall in his ‘Camel House Concert’s’ series. In 2012 she was awarded 143/150 (distinction) for ABRSM grade 8. Rose is also an enthusiastic organist and was the 2014/15 Willcocks/CSA Organ scholar.